Of course, you can just buy chex mix in a bag at the grocery store, but you don't know how much you are missing out until you try this. 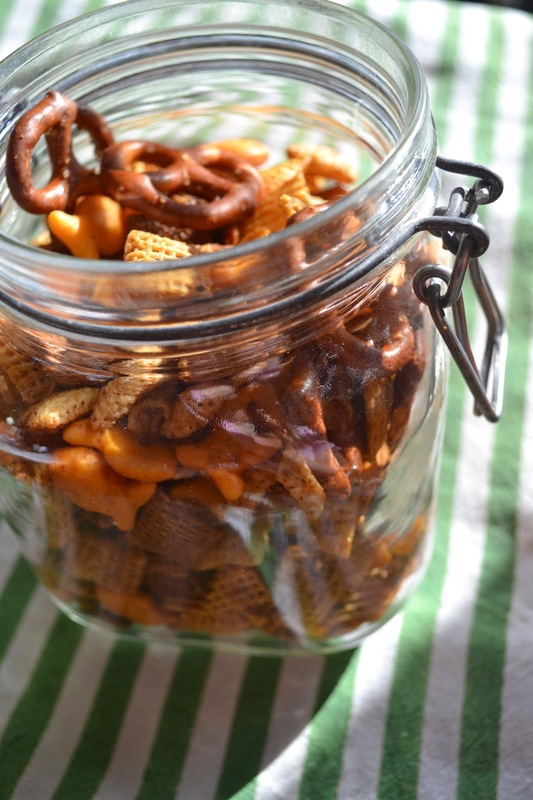 Homemade Chex Mix is one of my family's favorite party snacks, a holiday staple if you will. We like to make big batches at a time and freeze it, so it's one less thing we have to do during the holiday bustle. 1. 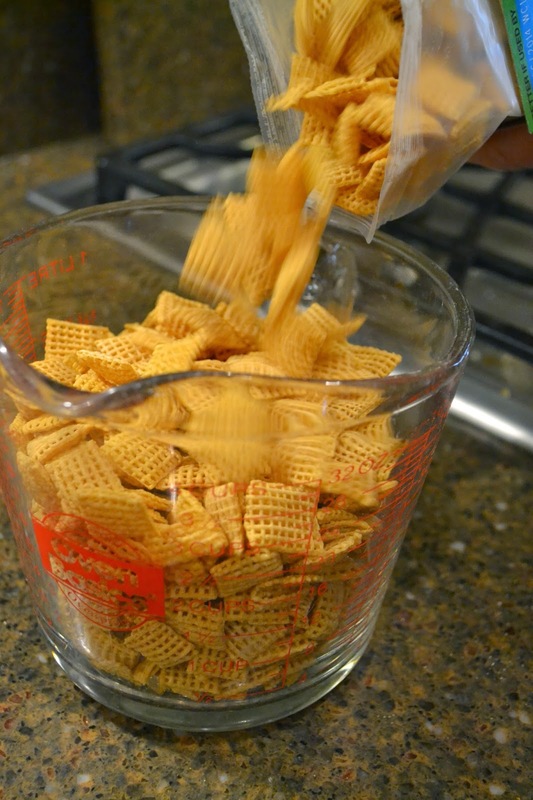 Combine melted butter or margarine, worcestershire sauce,garlic powder, onion powder, and seasoned salt: mix well. 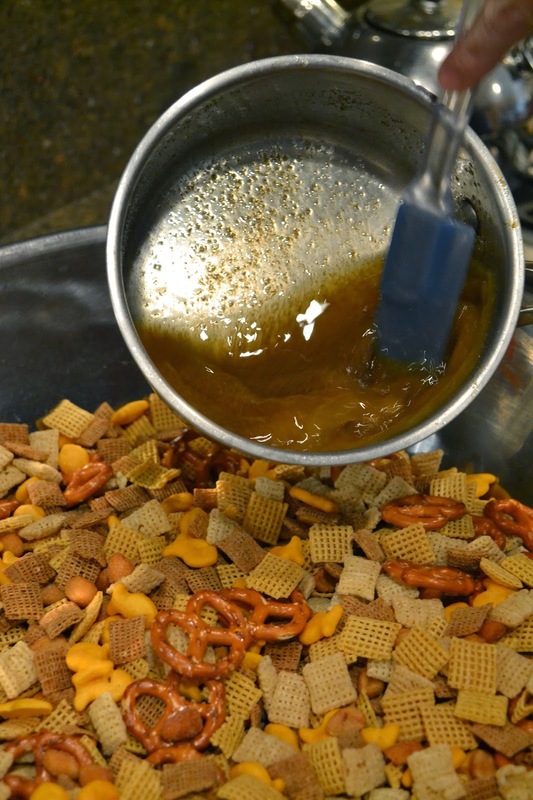 Pour cereals, nuts, pretzels, and gold fish into a large foil pan. 2. Pour margarine/butter mixture over cereal mixture . Stir until mixture is well coated. 3. Bake in 300 degree oven for 30 minutes, stirring every 10 minutes. Spread on absorbent paper to cool. Store in airtight container. It's finally warming up in Chicago, and I'm putting the herbs in our garden to good use. Fresh thyme always means a good time! Olives are such a versatile ingredient, but sometimes I love when they just shine in their own spotlight. When we were in Paris, I always looked forward to snacking on the marinated olives at the table, while we waited to order and for our meal to arrive. Even though I found an older recipe from the NY Times, you can never go wrong with a classic dish. Most culinary professionals would probably say to use olives that have not been pitted- but I like practical shortcuts. I would still recommend using pitted olives. First, you don't have to worry about someone chipping a tooth...but really, with pitted, you can use them for more than just an appetizer. I like to chop mine up in a salad, or slice them up as a fresh layer of flavor in a sandwich. With a little twine tie, this would make a great hostess gift. Or, be selfish and treat yourself! We like to pack them up and take them as part of our picnic when we have Ravinia lawn seats. 1. Combine the olive oil, vinegar, bay leaves and garlic in a small saucepan and heat just until warm over low heat. Remove from the heat and stir in the lemon rind, thyme, rosemary and fennel seeds. 2. 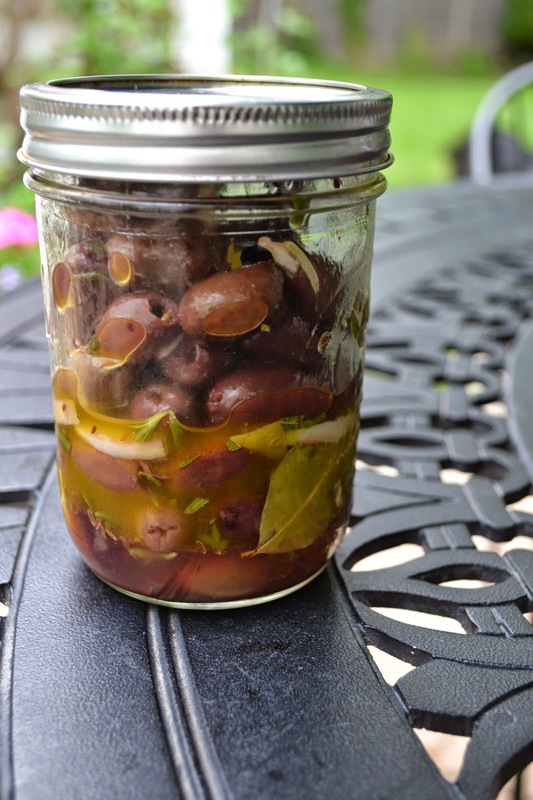 Place the olives in a wide mouthed jar and pour in the olive oil mixture. 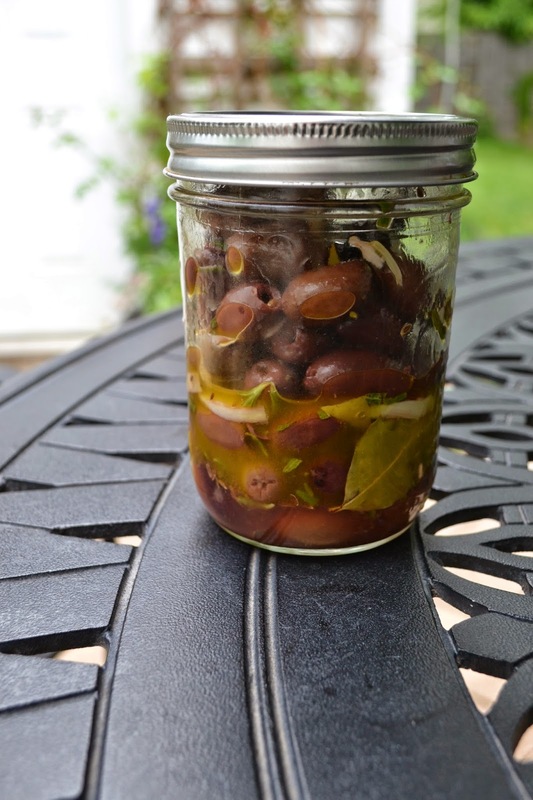 Shake the jar to coat the olives. Refrigerate for two hours or for up to two weeks. Shake the jar a few times a day to redistribute the seasonings. Lasts for about two weeks.